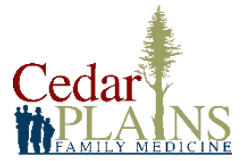 It’s normal to get an occasional headache, but if you’re head pain is chronic or you have migraines and it’s affecting your everyday life, Dr. Spohn at Cedar Plains Family Medicine in Hickman, Nebraska can find solutions to ease your headache or migraine so you can get back to doing the things you love. Call today, or schedule an appointment online. Knowing the type of headache that’s causing your suffering can help Dr. Spohn determine the best treatment. A tension headache is the most common and is caused when the muscles in your shoulders, neck, jaw, or scalp tighten up. With a tension headache, you may feel mild-to-moderate pain that comes and goes without any other symptoms. Cluster headaches are the least common type of headache, but cause the most severe pain. It causes an intense burning or piercing sensation behind one of your eyes. The pain can last from 15 minutes to three hours. Sinus headaches cause pain in your cheeks, nose, or forehead and are due to inflammation caused by allergies and congestion. Treatment for your headaches may include lifestyle changes and medical recommendations. Dr. Spohn partner with you to develop the best treatment to reduce your pain. If you have sinus headaches, Dr. Spohn can help you better manage allergies, which may improve or stop your pain. A migraine is a type of headache that causes a throbbing type pain on one side of your head, which can last hours or days. In addition to head pain, you may also experience sensitivity to light, nausea, and vomiting. Knowing your specific migraine trigger can help direct treatment. You have a number of treatment options to help manage migraine pain and future flare ups. You may also be given medication to help reduce the nausea and vomiting associated with your migraine. Finding techniques to help reduce stress, such as exercise or meditation, may also help prevent a migraine flare up. If your headaches are debilitating, call the health care experts at Cedar Plains Family Medicine, or schedule an appointment now using the online booking button.